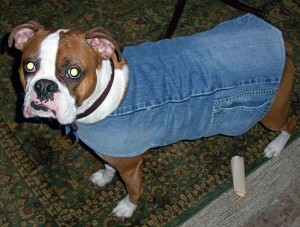 Deborah stopped into her local Goodwill one day and while there, she happened to notice some really cute girl’s denim shorts. 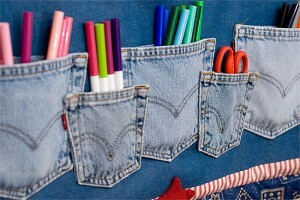 When she saw them an idea struck right there on the spot, why not turn them into a purse. 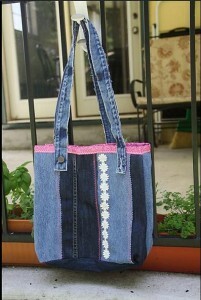 They were just the right size to make into a purse. 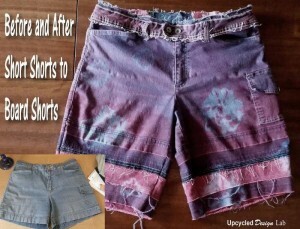 After making a couple she’s hooked and has gone on to make several more. 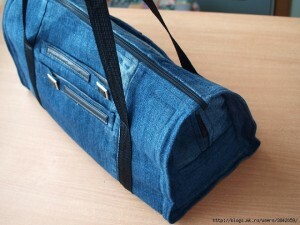 Deborah has written a detailed tutorial showing how she made her denim bags, including how she lined them with a coordinating fabric. 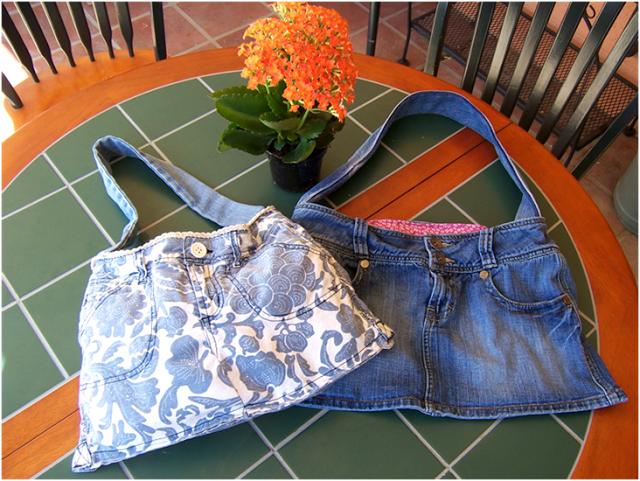 This floral one is so cute and I really like the coordinating fabric she chose for the lining. 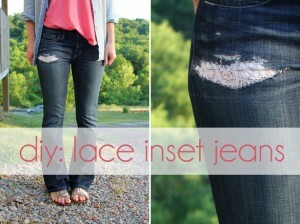 Notice the lacy/crochet trim around the top edge, it’s the perfect finishing touch! 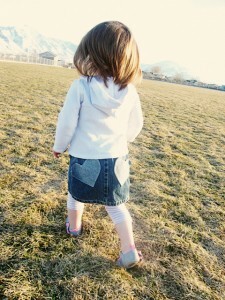 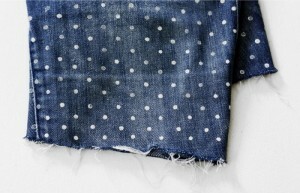 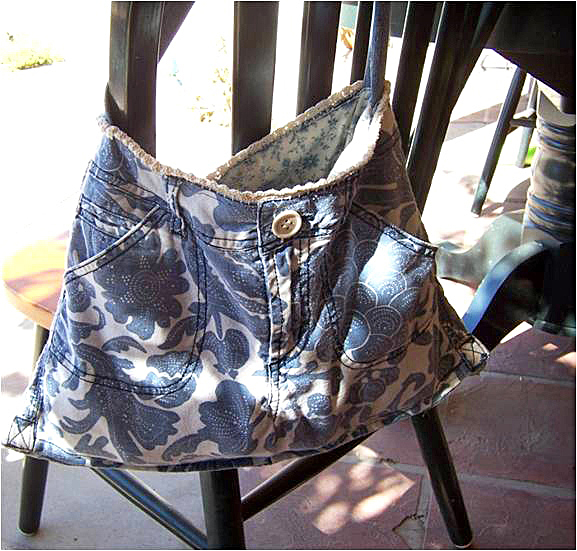 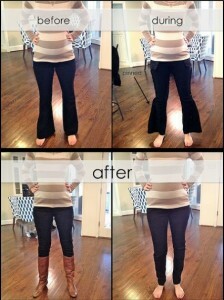 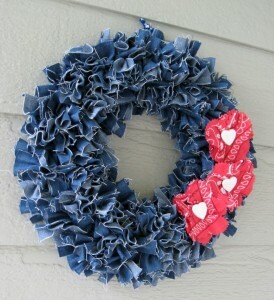 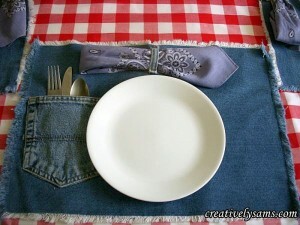 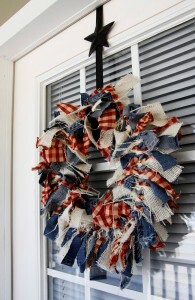 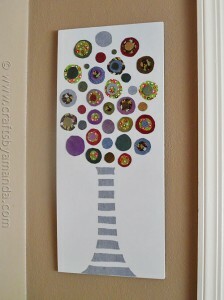 You’ll find Deborah’s excellent tutorial at her blog, Art Threads here: Make a Denim Bag from Repurposed Girl’s Shorts.